565 Lake Road S. E.
Welcome to Best In The West! Since 1992, we have been doing our very best to assist our customers in being successful with their landscaping or gardening projects. 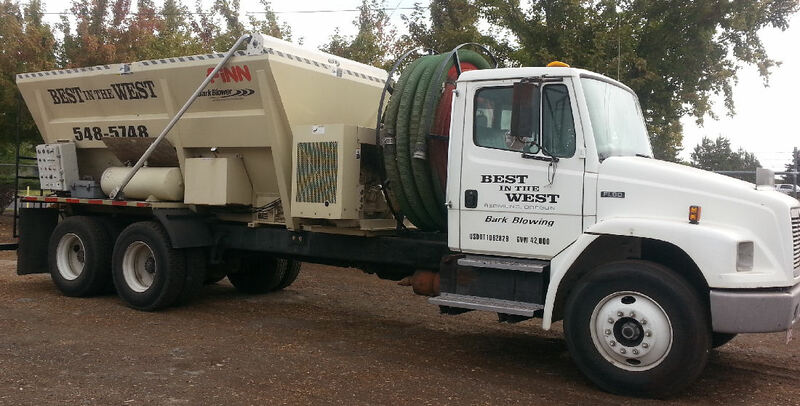 Best In The West serves all of Central Oregon with deliveries and bark blowing availability. We grind our bark daily and our soil is tested. Quality of our products is our priority for our residential and commercial customers. What Are The Benefits of Barkdust? 1. Your plants will be protected in the heat of summer or the freeze of the winter. 2. Barkdust deters weeds and helps prevent erosian. 3. You will save water. A 3 inch layer of Barkdust prevents up to 50% of water evaporation. 4. Your bark is mulch, so over time Barkdust provides humus and nutrients to your soil. 5. The fruits of your labor will look beautiful as Barkdust adds that clean finished look.